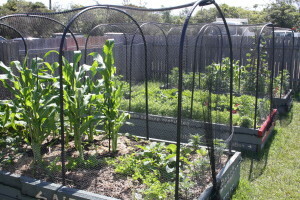 Mosman Community Gardeners operate a community garden in partnership with the National Park and Wildlife Services at the far end of Middle Head Road. We started in 2010 with three garden beds and expanded in December 2011 to six garden beds. We welcome new members. The garden is is located at the back of the Soldiers’ Institute building. To see what we are doing, just walk through the NPWS boom gate at the far end of Middle Head Road. Facing you is the NPWS information centre. Take the uphill road on the left (Governor’s Road) and continue to the fenced-in wooden building facing the grassed area. Walk round to the back of the building and you will see our garden beds. We garden at Middle Head on Tuesdays and Sundays from 3-5pm. Produce from the garden is shared between those working and harvesting at the time. We also operate a daily watering roster between us. We conclude the gardening with ‘BYO everything’ drinks and nibbles. 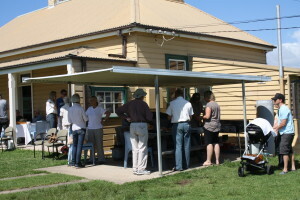 Members of MCG who garden at Middle Head sign on as NPWS volunteers and contribute to the Service by providing dishes from the garden for NPWS social events or volunteering for other NPWS activities. 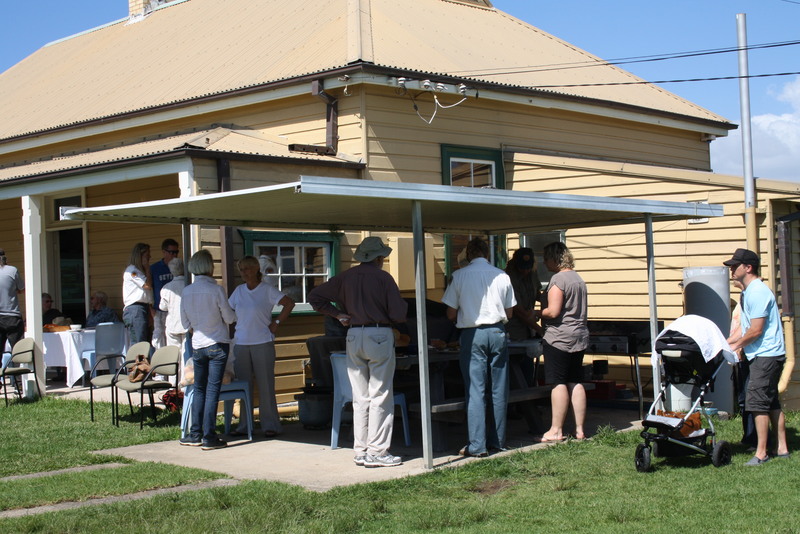 To read more about the history of Middle Head Community Garden and see photos of its development click here.